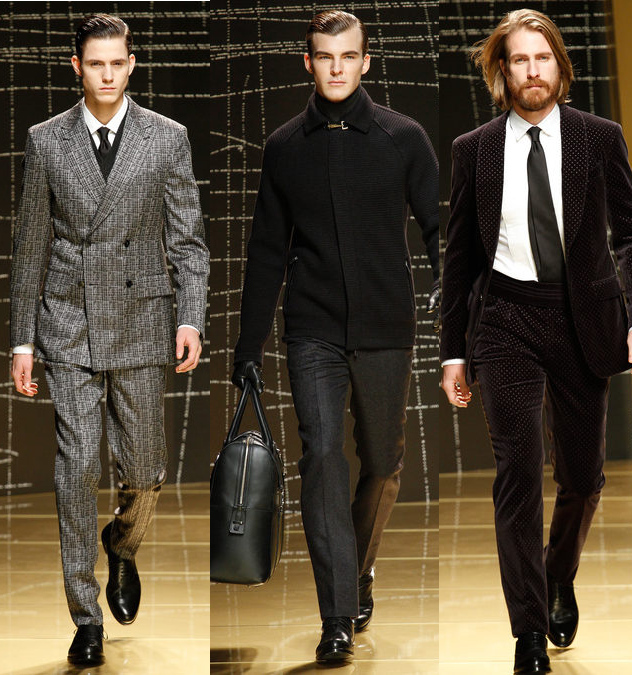 Ermenegildo Zegna presented one of the most luxurious collections a man could own in his wardrobe. This collection marked the roots of the brand, which molded the million dollar gentleman we all strive towards. No outfits were made of plain cotton fabrics. Rich fabrics, such as silk, alpaca, and velvet were used to set life to the collection. Tailoring was as sharp as it could be. Pants, higher in waist, were matched with cummerbunds that interpreted class. 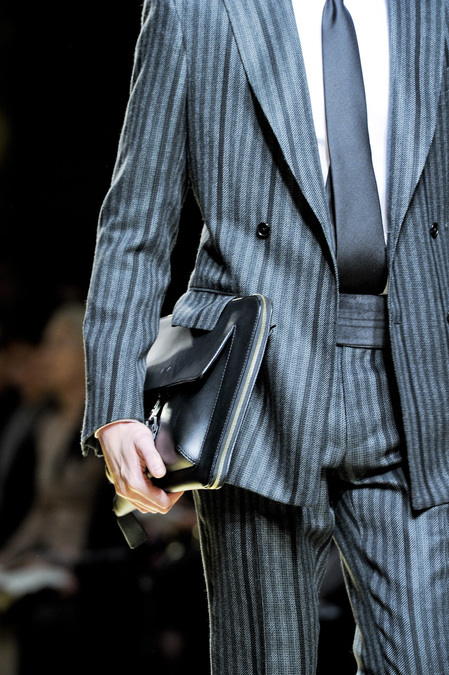 A lighter gray coat from the first look kept that long and lean feel most men would appreciate. Suits paired with knitted sweaters instead of vests gave that young maturity level of a true gentleman. Jackets were longer than average (done with laser-treated mink inside), which reminded us of who this was meant for. Although this presentation seemed to be mostly about the rich wealthy man, evening wear offered a slightly different twist than what we expected. The velvet numbers were more youthful and fresh than what we had experienced before. Overall, there were a variety of quality materials to choose from, but price may be something else to think about. You must agree this collection was pure luxury at its finest.